For some people, the thought of dealing with a debt settlement company can be just as tough as being in a difficult financial situation. 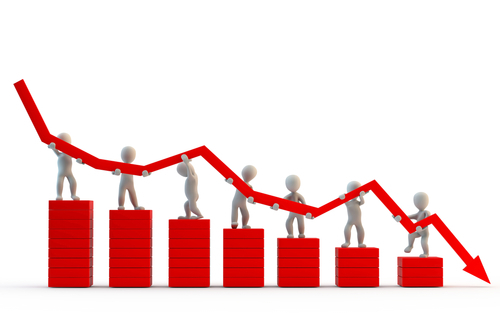 However, National Debt Relief does a great job of removing those types of fears by boasting an impressive reputation for being aggressive debt settlers, emphasizing debt relief education and providing solid customer support. There are several variables that National Debt Relief uses in order to determine the cost of their services, including personal income, amount of debt owed, and how much you can pay toward settlements each month. 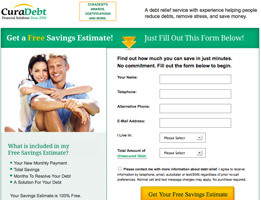 When a debt is settled, the service does charge a calculated percentage of the customers’ savings for their fee; generally, this number comes out to around 20 percent. 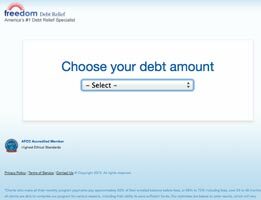 In the meantime, potential customers can take comfort in knowing that National Debt Relief does not charge an upfront fee for its services. Plus, the company makes the act of staying on top of debt easier with the creation of a special account where customers deposit an affordable amount of money on a monthly basis, which in turn is used to pay creditors when a settlement is reached. 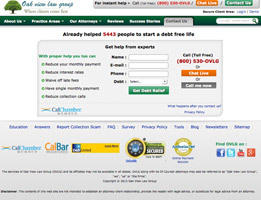 National Debt Relief does an excellent job in providing debt advocacy for their customers. This is best demonstrated through their call log, where customers can jot down notes on every debt collection calls – notes that the company uses during debt negotiations. What’s more, if a customer feels that a creditor is crossing the line in their debt collection calls, National Debt Relief provides a link on the log to an FTC website where complaints against the caller can be made. Additionally, National Debt Relief’s solid association with watchdog groups like the American Fair Credit Council gives the company an extra layer of respectability amongst their industry. National Debt Relief’s sterling record of support is present even before the special account is set up. The company will give each perspective client a thorough rundown of the potential risks that are involved with debt settlement as well as the potential rewards, thus giving them a complete picture to determine whether or not the service is right for them. The top level of service does not stop once the customer signs up, as the company does make phone, e-mail, and live chat options available for assistance. They also provide a host of tools, documentation, and widgets specifically designed to educate their customers so they can safeguard themselves from going down the road of debt settlement a second time. Everything that National Debt Relief does is done with the desire to make the process of debt settlement as painless for the client as possible. And some of the services that they offer help customers take control of the situation. Considering how much needing a debt settlement service can sting, this latter aspect is extremely vital. Thank you for reading our National Debt Relief reviews. It can be hard to settle on a debt settlement company when there are so many vying for your business. Even if you don’t choose National Debt Relief, make sure you give them a close look and hope that they can help you out. The debt settlement process can be long and stressful, especially if you attempt to do this on your own. This is why I decided to call on the pros at National Debt Relief and ask them to show me along the way so that I was finally able to fix things up. They were more than happy to take me on as a client, and in the final stages of the process I began to realize that I should have done this a long time ago. It was a stressful time in my life but now that my debt is clearing up things are turning around. I didn’t want to use a debt settlement company, but I was out of options. This is why I called National Debt Relief and the rest is history. They helped me along the way and allowed me to feel better about myself in no time. 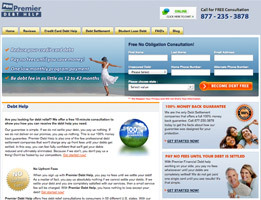 Are you concerned about the cost of debt settlement? You probably worry that this is just going to cause you more financial pain in the long run. You may think this is true, but it really is not the case. You are actually able to learn quite a bit about yourself when you contact a company like National Debt Relief. This puts you in the unique position to get professional help without having to spend too much money. Debt settlement is a good strategy for many people, and you have to at least give it a thought if you are behind the eight ball. My family was worried that our debt was spiraling out of control, and for the most part they were right. Things got bad and we needed help. National Debt Relief stepped up to the plate and took a lot off of my shoulders. They explained what debt settlement was and how they could help me get my life back to where it used to be. My debt is now gone, and thanks to National Debt Relief I realized that I never have to put myself in this position again. Thanks for all the help and I’ll be sure to tell others what you offer. My debt was mounting and my wife was getting madder by the day. This is why I called National Debt Relief to see if they could help me get out of debt. Soon enough I was actually feeling good about my money situation. National Debt Relief is one of the most experienced debt settlement companies in the country, and this is why I called upon them to discuss my situation and see if they were able to do anything that could help me out. For all of my horrible financial choices, it feels like I have finally made a right step. 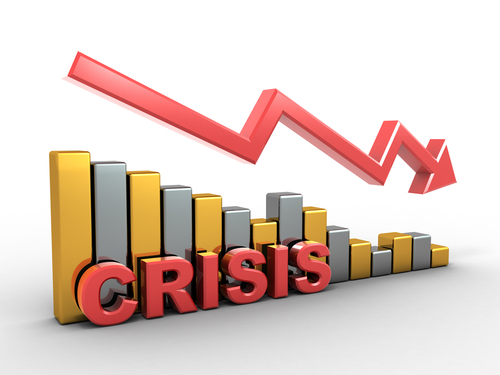 Debt settlement has quelled the panic and let me concentrate on actually working, instead of working around creditors. If it has become overwhelming for you too, debt settlement is worth consideration. The nightmare stories about debt settlement can come true. But if you do your research and choose the right company, it may just be the lesson at the end of a fable. I have found a feasible fix to my quicksand of debt in National Debt. You can too! The idea of debt settlement made me very anxious and worried. Stopping my monthly payments seemed to contradict every notion I had about repaying debt. Then again, my grasp of financial debt is what got me here. So I did my research, found a Better Business Bureau accredited debt settlement company, and listened to what they had to say. I set up a savings account that worked as my settlement account, in lieu of making monthly payments through the nose. Yes I was delinquent, but at least I am made progress. Before, I had been running the risk of being late and not making a dent into my mounting debt. 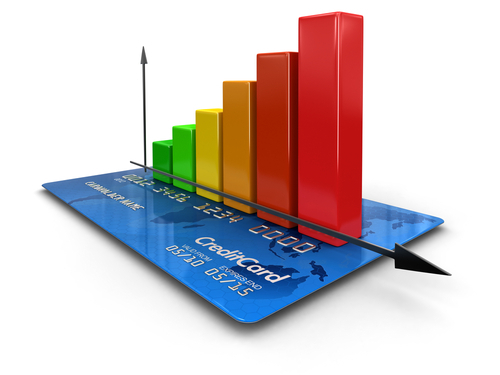 With the settlement plan, I could actually calculate how long it would take to pay off the credit card debt. After about 20 months of saving, settlement was reached in a lump sum for only 60% of what I owed! I could not have done this on my own. National Debt has help me set up a plan to pay off my creditors that I can actually fulfill. The monthly payments were just more than I could handle, and it appeared that it would be never-ending. Now I have figure that I can actually work to pay off. Debt settlement may seem like a complex subject and it is, but not for the folks at NationalDebt. They walk you through the specifics and as long as you stick to their plan you will see your debt decrease fast which is all you can ask for. Struggling with debt isn’t something you should do on your own. Debt settlement is the answer and NationalDebt are the best people to do the job. They are reliable and professional and I’d recommend them to anyone who needs to clear up debt. I called NationalDebt on a whim. I really didn’t know what to expect and I certainly did not think they would make the difference in my life that they have. It is an empowering feeling to know you are well on your way out of debt. I am so happy I do not have to worry about what to do next for my debt settlement. NationalDebt help you take care of the details and lead the way, you just have to make sure you stick to their plan. I am about to be done with my debt before 30 and that feels fantastic considering my friends still struggle. I have to write a review for NationalDebt who helped me with debt settlement in record time. In eight months my debt was completely done and now I’m on my way to repairing my credit. I have to tell you I feel years younger now that I do not have this debt hanging over my shoulders. 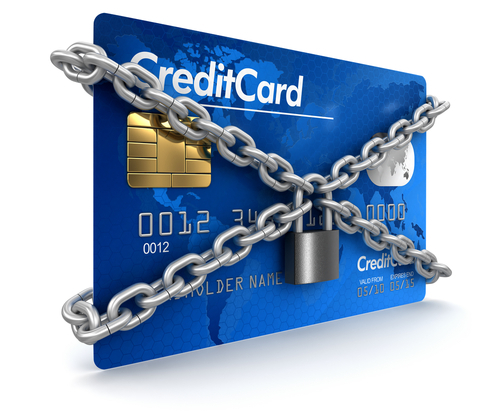 I got a divorce which forced me to use up my savings and of course the next thing was – relying on credit cards. It wasn’t a smart move, but at the time it felt like my only choice. I called NationalDebt after reading a review online and I can say they are really the best people to help you with debt settlement. I am so glad I made the call when I did because if not, I feel I would have put off paying off my debt for another five years. It is easier than it seems, but I know a high amount of debt scares people off into thinking, ‘Oh I can never pay it off anyway, so I’ll just ignore it.’ Do yourself a favor and call NationalDebt. I’ve been working with them for six months and they are awesome people to do business with. Does Debt Settlement Make Sense?